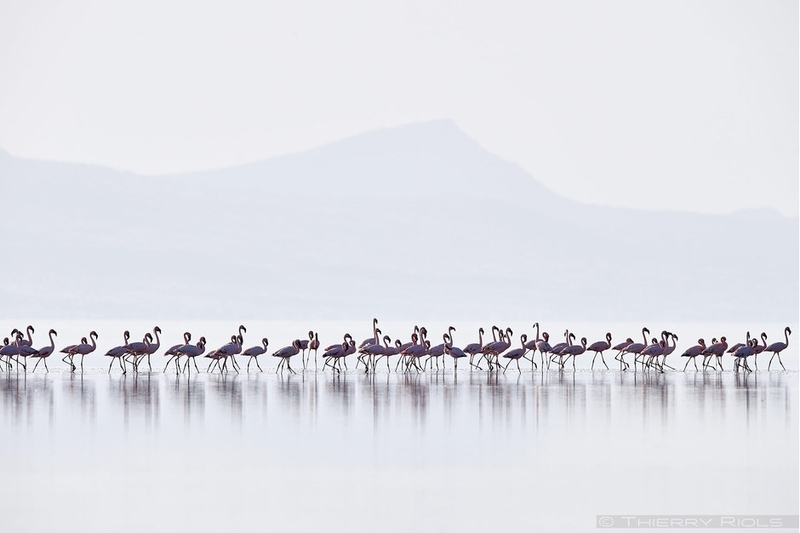 Lake Natron is an alkaline lake from tectonic origin, adjacent to the Ol Doinyo Lengai, the only active volcano in Tanzania. 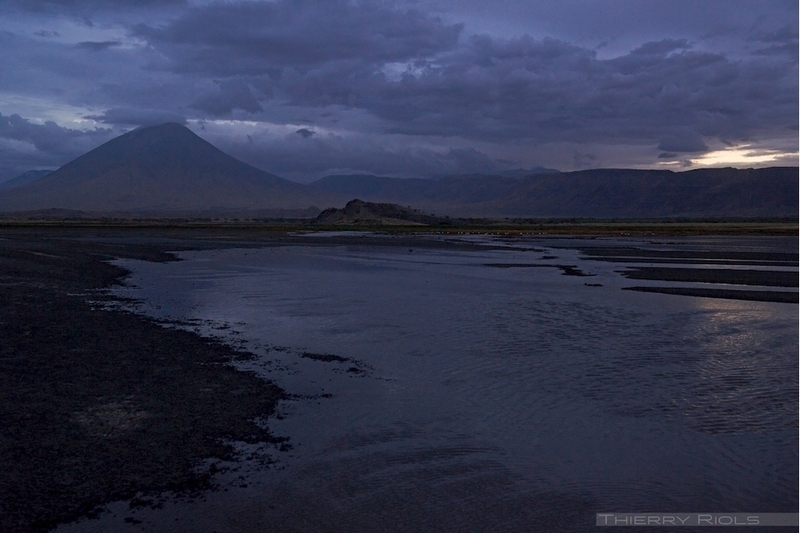 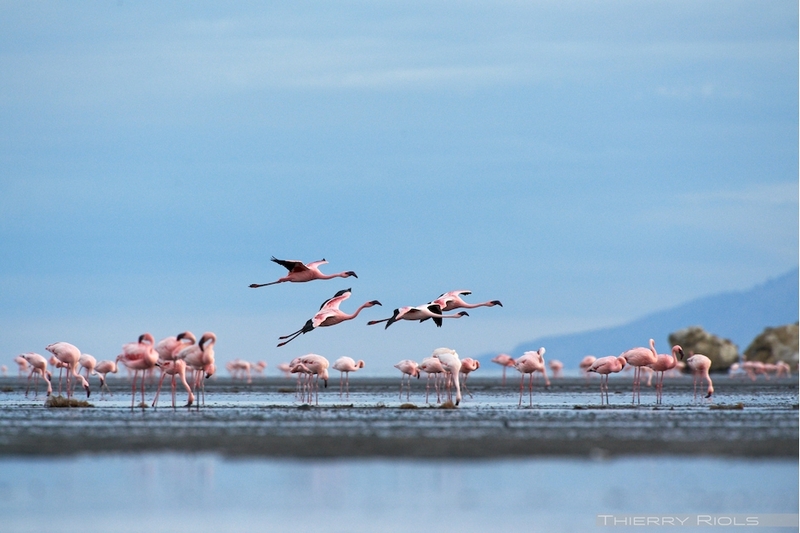 Fed only by rainwater and a few small streams, Lake Natron is endorheic, meaning that the water is discharged through evaporation. 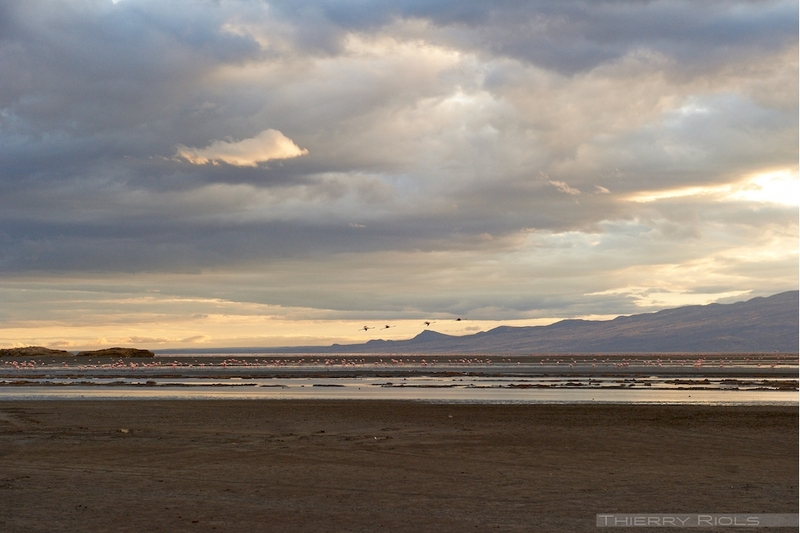 This water is extremely loaded salts which give rise to micro-organisms. 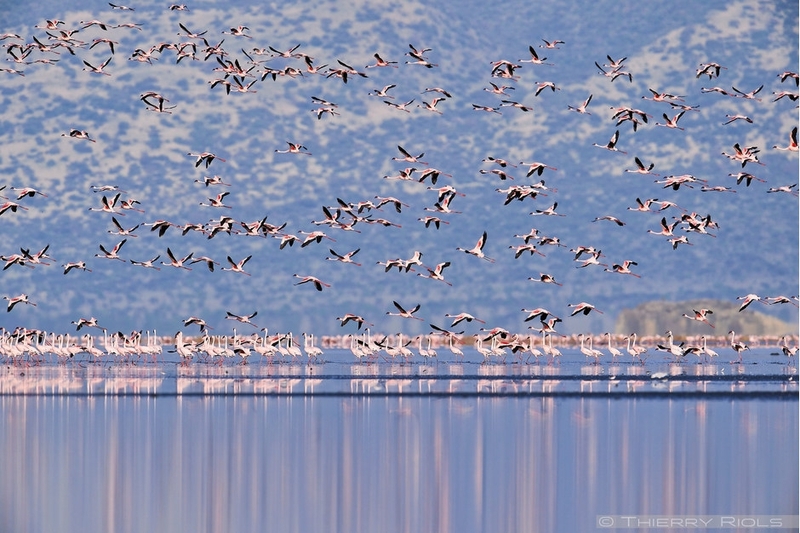 The lesser flamingo - Phoeniconaias minor - find in this water an ideal food and Lake Natron is therefore an ideal reproduction of this species. 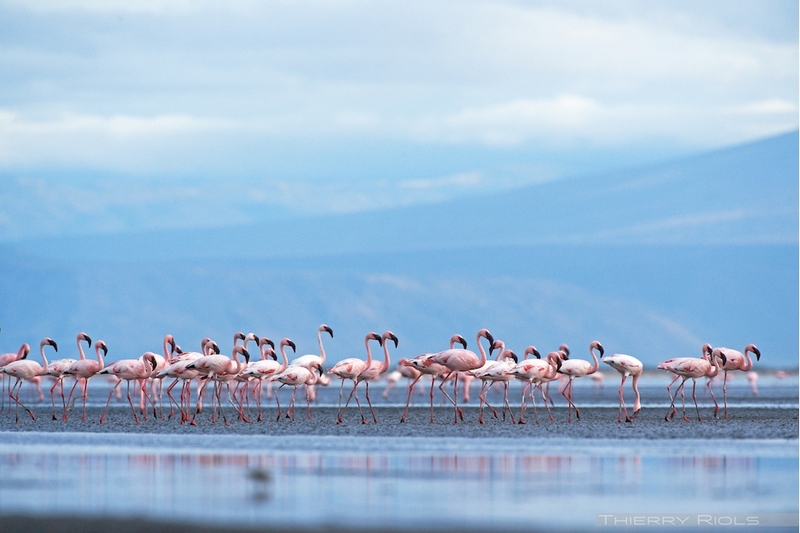 The largest gatherings of lesser flamingo can reach 2.5 million.